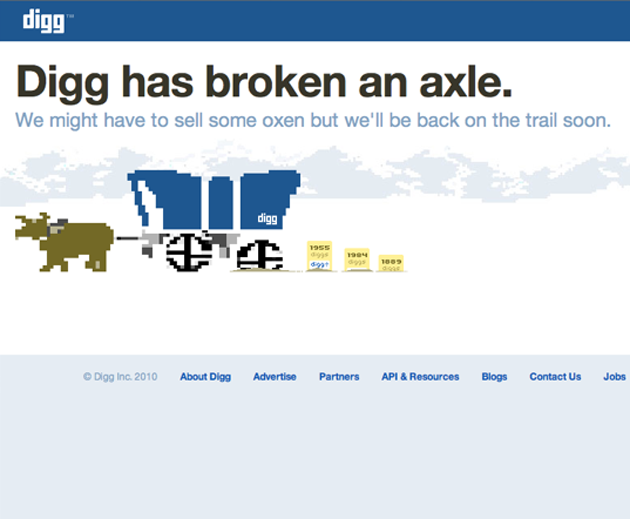 If you’ve been on the new Digg at all in the past day or so you’re probably already familiar with the above “Fail Ox” image, especially if you’re trying to use Digg search. The image is new, and is the result of Digg designer Tyson Rosage‘s obsession with the old school computer game The Oregon Trail. Hey, having a twee “something is broken” image seems to have worked out for Twitter.